This week's teaser is from Take Back the Skies by Lucy Saxon. 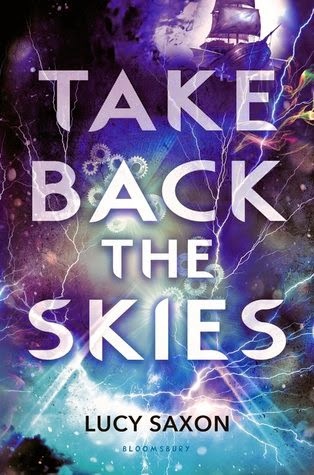 I'm just going to say, if you loved Shadow and Bone or For Darkness Shows the Stars, then go out and purchase a copy of Take Back the Skies today! It's an incredible fantasy with such lovable characters, and the cutest little love connection between the main characters. Fox is so adorably protective, but embarrassed about his feelings at the same time. It was impossible not to fall for him! “One thing my father taught me that I actually bothered to listen to; always know what those who work for you do with their free time, just in case they're using it to betray you." For more about Take Back the Skies check out these sites!